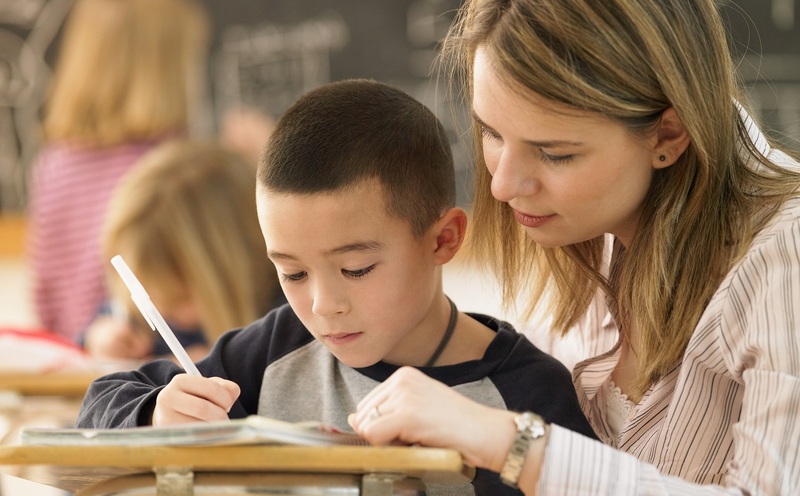 Teaching Assistants (TA) work closely with teachers in the classroom and duties can vary from school to school; responsibilities can cover helping individual or small groups of pupils to provide administrative and classroom support. Some TAs specialise in special educational needs, literacy, or numeracy. in secondary schools, TAs usually work with pupils who have learning difficulties and disabilities. Kent County Council has not set mandatory qualifications for TA roles within Kent schools; it is dependent on the school whether they require applicants to have qualifications. You will need to read the job description and any of the vacancy supporting documentation. TAs need to have good reading, writing, and numeracy skills and it will be useful to have some experience of working with children. You will also need good communication and organisational skills. 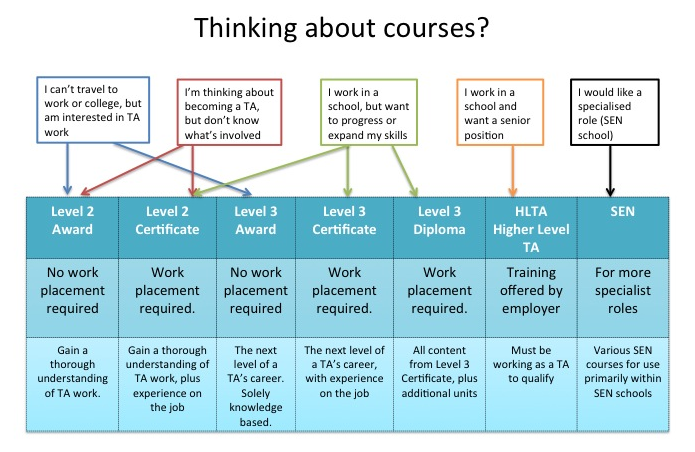 If you are considering a course, here is a diagram taken from the Teaching Assistant Focus website to assist you. Guidance for the Qualifications and Credit Framework (QCF) for support staff in schools. If you do not have any experience working with children then you can start volunteering at a school. That way you can see whether the job is for you and if you enjoy working in a school environment. If you have the opportunity, then speak to other TAs and find out what they did to get a job. Read more about being a Teaching Assistant on the National Careers Service website. Search for Teaching Assistant Vacancies.